Mark's Tickets is the best place to find tickets for Orlando Magic fans. Just check this page for any new events or schedule updates throughout the year. We sell tickets to every Orlando Magic game around the world. We know how passionate Orlando Magic fans can be about basketball, so we make sure to have hundreds of tickets for every game available right up until it starts. For those looking for cheap Orlando Magic tickets, we offer tickets starting at very low prices (many times below face value). 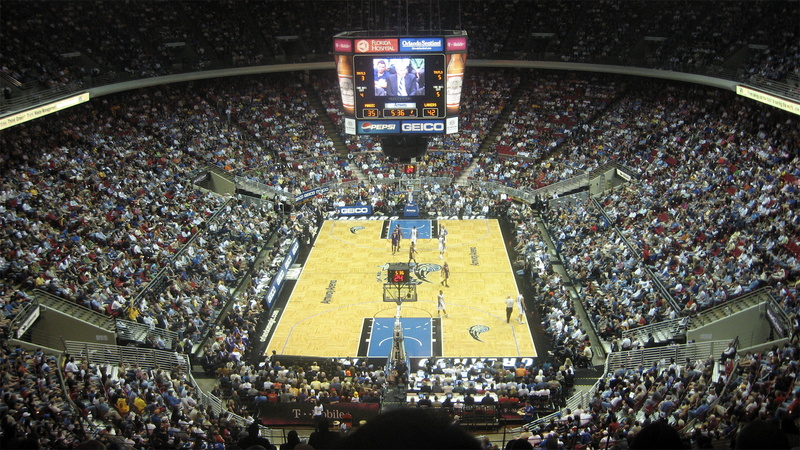 We offer tickets in most sections of every venue that you can see Orlando Magic. Simply choose the city or venue that you are interested in below, and you will be able to see all of the available seats. Do not forget that Marks Tickets also specializes in sold out Orlando Magic tickets. No longer will sold out shows prevent you from seeing Orlando Magic. The Orlando Magic are a professional basketball team that plays in the NBA. The Magic play their home games at Amway Center in Orlando, Florida. With 82 games per year, and 41 being home games, The Orlando Magic are an American professional basketball team based in Orlando, Florida. They are part of the Southeast Division of the Eastern Conference in the National Basketball Association (NBA). The franchise was established in 1989 as an expansion franchise, and has had such notable NBA stars such as Shaquille O'Neal, Penny Hardaway, Grant Hill, Tracy McGrady, Steve Francis, Dwight Howard, and Rashard Lewis throughout its young history. The franchise has also been in the playoffs for more than half of their existence (14 playoff appearances in 24 years). Orlando has been the second most successful of the four expansion teams brought into the league in 1988 and 1989 in terms of winning percentage, after the Miami Heat. As of 2012, they are the only team in the "big four" sports leagues to play in the city of Orlando.